In every home, it is an absolute must to have a vacuum cleaner. Traditionally there were brooms but who has got the time for that now. A vacuum is a necessity for every household, but it can be tough to choose the right fit for you. There are just too many to choose from, so we have a rundown of options for you to choose from so have a look. Now that you’re aware of what are the different types of vacuum options available at your disposal and how to choose from them, we will show you the best vacuums out there that we have shortlisted for you. This is one of the modern versions of the upright vacuum as it comes without a cord and is small in size. The vacuum works best on both carpets and hard flooring. The powerful motorhead ensures that the little dust and hair particles are sucked from the carpets, leaving the place very clean. The softer head ensures that the flooring is free from all dirt and dust particles. It is cordless which means that there will now be now range limit and hassle of carrying around the wire. Furthermore, this device transforms into a handheld vacuum by allowing you to reach smaller spaces and leaving them shining. The HEPA filtration technology takes in the allergens and dust particles and expels fresh air, cleaner than the one you breathe. The stick comes with a convenient dock where you can charge the vacuum and use it for up to 40 minutes in the normal use and up to almost 10 minutes in max power mode. The 2-tier radical cyclones make sure to leave no dust or dirt behind while the efficient and hygienic dirt ejector allows you to empty out the dirt easily and without hassle. Euipped with a very powerful 22V battery, this vacuum is cordless. It is a powerful machine and comes as an upright cleaner. It can be effectively used on carpets, mats or floors and will provide you with the best possible results. As the name suggests, this vacuum comes as a very light weighted cleaner and weighs only a pound. It makes it very easy to steer and use in smaller and tighter areas where cleaning needs to be done. The light and agile design allow the machine to easily manoeuvre under and around furniture items. The long-lasting lithium battery will make sure that your home or car get the best cleaning job with the powerful Air Ram. The vacuum also features a removable dust tray, which can easily be removed; this allows for mess-free disposal of all the dirt and dust. The machine is easy to charge and can easily be stored as it comes with the option of a collapsible handle, putting away with all the issues that the traditional vacuums had. Dirt gets stuck in the vacuum. If you’re into technology and modern equipment, then this one is for you. The Hoover is a vacuum stick that promises to deliver the best performances. The sleek design and versatile features promise to provide you with the best possible results. It comes equipped with the WindTunnel technology, and the cyclonic filters will ensure adequate performance. The powered brush roll aims to collect dust and dirt from every square inch of the room, be it on the carpet or the floor. The power controls and buttons are situated to perfection; right on the handle of the stick where you hold it from to ensure comfort and convenience. One key feature of this latest vacuum is the battery fuel gauge which will continuously show you how much the machine is charged and when it needs charging. The edge-to-edge cleaning bristles give you access to small corners, which a regular vacuum can never reach. It will provide you closer access to walls and corners – a feature very few similar products comprise of. The broad face of the cleaner allows you to cover more surface area and you can quickly dump the dirt with the detachable bottom cup on the vacuum. Once again, this is a modern technology based vacuum, which is fitted with the best and latest tools to ensure the best results for the user. The DuoClean facility in this vacuum allows you to clean your surroundings, as well as give a polished look to it. The bristle brushes are installed to provide your carpet or rug with a deep and thorough cleansing, taking prey to any form of dirt or dust. The additional soft brush ensures to grab any larger particles while simultaneously polishing the surfaces it leaves behind, giving your home a shiny look. No matter what surface you are working on, it is not matched for this monster machine, and no dirt particles will go unearthed. The Rocket comes equipped with LED lighting as well. This is to ensure that any tiny particles are easily visible to the user especially while cleaning under furniture or in small corners. You can easily store this vacuum in your garage via the storage hook it comes with. It is neither too big nor too heavy to seem inconvenient. Since this is a stick-type vacuum, it can be easily used to clean windows, ceilings or the fan with the help of just one hand due to the light weighted nature of the machine. So the last, but certainly not the least, is the PowerEdge vacuum by BISSELL. This is the cheapest of all the options with a meagre price tag of below $60. But this certainly does not mean that it is poor in performance as it is right up there with the best of the lot. The V-shaped wipers beneath the surface of the cleaner allow one to capture both large and small particles with ease, which are then moved towards the central part of the vacuum and sucked into the dirt tray. The wipers are made of a rubber that can attract hair particles so for pet owners this machine can seriously save a lot of time, energy and frustration. It comes with a 20 feet power cord, which enables the user to move around freely. The detachable dirt cup allows you to empty out the dust and dirt with immense ease and without making a mess near the dustbin. Furthermore, the shape of the base also allows easy cleaning on all surfaces as well as below sofas and beds and sharp corners, leaving no trail of mess behind. Before you go out to buy an expensive vacuum cleaner, it is important to know what you are looking for. There are many different types of vacuums available in the market. These are one of the most popular types of vacuums out there, pretty much due to its ease of handling because as the name suggests, it can be used by one hand only and is mostly used to clean out cars. It comes in different designs as well as in different price tags. The canister vacuum is the most technically advanced kind of a vacuum and carries a heavy price tag. 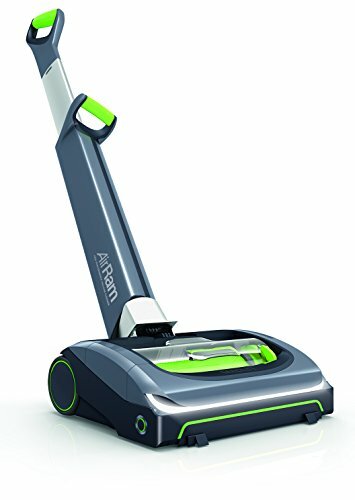 The modern technology on this product allows it to perform its cleaning duties most efficiently and effectively amongst all other members of the vacuum family. Be it the floor or the carpet; this will do a spick and span job for you. This is probably the most popular of its kind and is the one you would normally see in an advertisement or movie. It is easy to use, and most people have used it at least once in their lifetime. It does the job well, be it on the carpet or the floor and carries a significantly lower price tag too. Perhaps the only inconvenience you are likely to face is due to the large and heavy size of the machine. 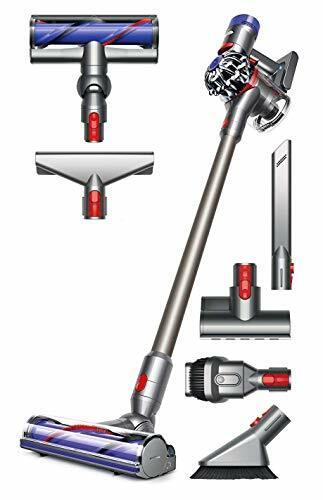 Furthermore, we will explain you the factors to look for before buying the best stick vacuum cleaner. Before you go out to buy a stick vacuum cleaner for your home, it is very essential to know your purchase in order to make the right decision. Therefore, the buyer’s guide will help you make the perfect decision. This factor is the most important when it comes to buying a vacuum cleaner. Even the most inexpensive vacuum should serve its purpose well of sucking in all the dirt and mess. The more the suction power the better. This feature makes it possible to clean all the stubborn debris that is stuck near ages for a long time. Corners of the walls should be cleaned easily if the stick vacuum cleaner holds good performance on edges. When you have the entire house to clean with just a vacuum cleaner it is necessary for the cord to be long enough that it covers the whole area. Otherwise, you will have to change sockets as you move forward or simply purchase a cordless vacuum cleaner. It is very important for the vacuum cleaner to have the right nozzle size. A wide nozzle will cover a large area in one go whereas a narrow nozzle will clean the corners. So to give our closing remarks and conclude, we hope that our article was enough to convince you which of the vacuum cleaners you should purchase. As a customer, it is most important to decipher which machine suits your interests the best, which device suits your home the best and which tool suits your wallet the best. As we saw above, a vacuum cleaner can range from $60 to around $200, so there is a large variety from which you can choose. Most of them come with a warranty too, so there is no need to worry about your money getting wasted. This is it from us, happy cleaning!